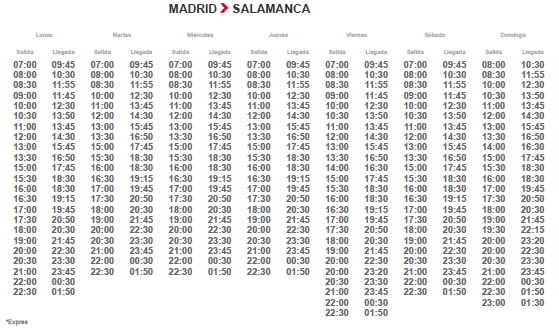 The most common way to travel to Salamanca from another country is by flying first to Madrid’s International Airport, called Adolfo Suárez Madrid-Barajas. 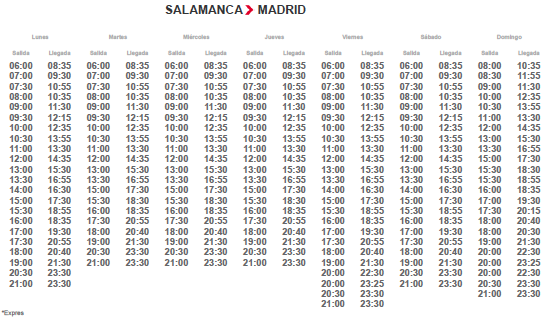 Madrid Chamartín-Salamanca: 2.5 hours or 1.5 hours (depend of the type of train), 11 trains daily. ALVIA – The price depend of the day and hour.